Happy New Year y'all! Can you believe January is almost in the books? It feels great to be back into the world of blogging after a strenuous move over the holidays. We're slowly settling into the new house and I promise to share more personal details on Monday! I spent some time yesterday cooking up these delicious shrimp and discovering where the good light is in the new house and it felt so good to be doing something "normal." What are your plans this weekend? We're catching up with friends and of course, watching the big game on Sunday. 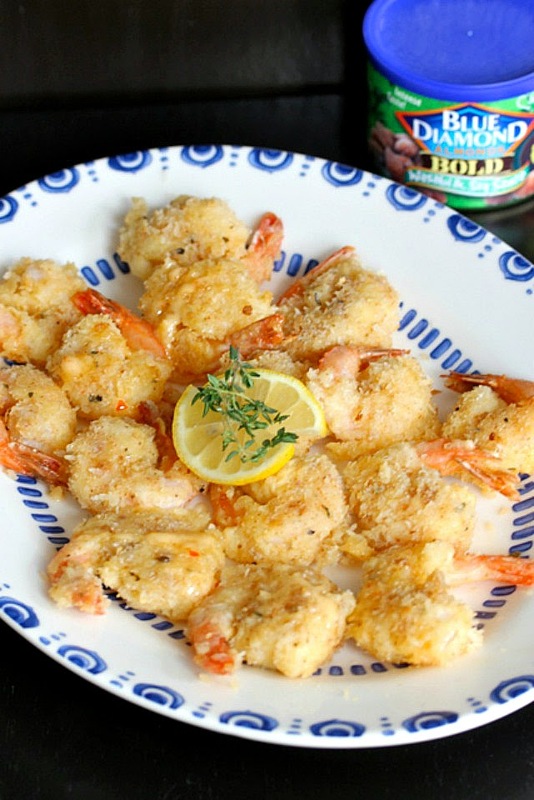 I teamed up with Blue Diamond to create these Bold Gameday Shrimp. Ever heard of the saying, "Go big or go home?" These shrimp are bold enough for the big day but not overly spicy. If you're anything like me, you enjoy the football game but you're really just there for the food, right? What's your favorite gameday snack? In a medium bowl, whisk together buttermilk, flour, cornstarch, egg, and hot sauce. Set aside. In a separate bowl, combine Panko breads crumbs, ground almonds, garlic powder, oregano, salt and pepper. Line a cookie sheet with wax paper and set aside. Line a plate with paper towels and set aside. One at a time, dip shrimp into buttermilk mixture, allowing excess to drip off. 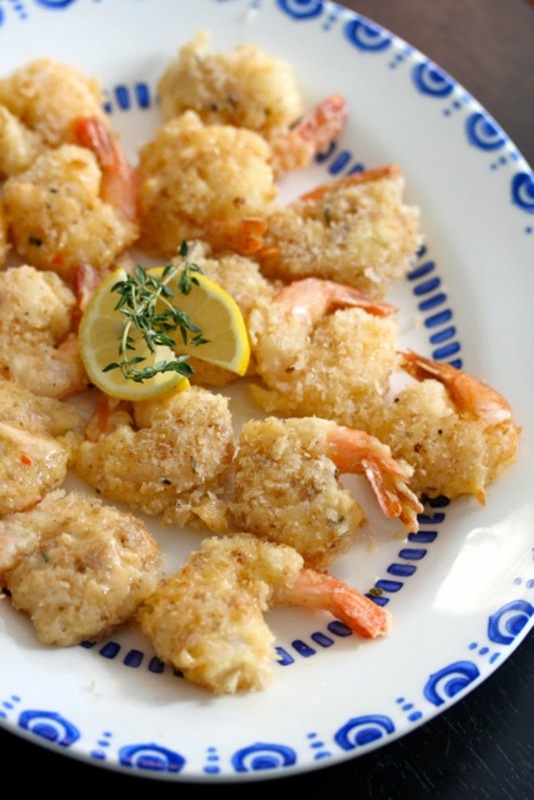 Then press shrimp into panko mixture, coating both sides. 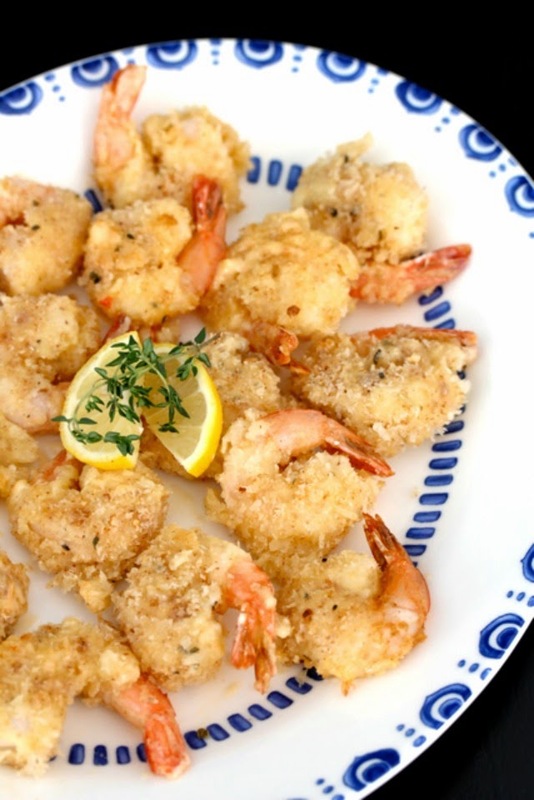 Place shrimp on prepared cookie sheet while dipping the remaining shrimp. Heat vegetable oil in a large skillet over medium high heat. Working in batches, gently place shrimp into skillet. Allow to cook 2 minutes, flip and cook another minute. Remove promptly and place on plate lined with paper towels. Serve with sweet Thai chili sauce and lemon slices! *I used my coffee bean grinder for this task. Be careful not to over grind the almonds because you will end up with almond butter! ** This post is sponsored by Blue Diamond Almonds. For more game changing snacks, visit Blue Diamond Almonds on Facebook, Twitter and Instagram. Yum I love anything with shrimp!